Tee height will have two main influences: 1. on your golf swing, and 2. on the collision. As a standard, I would say around half the ball should be above the crown of your driver or fairway wood. With a rescue club or iron, the ball should be about ¼ inch off the ground. Regarding swing, if you tee the ball lower you’ll tend to encourage a golf swing that is more ‘down’ on the ball. As such, if you notice that you’re a player who hits relatively steeply on the ball, you may prefer to tee the ball lower. 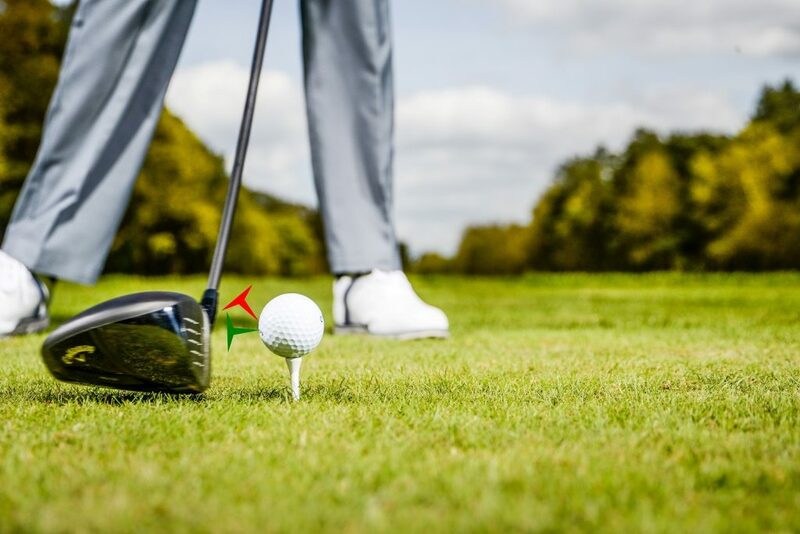 Alternatively, if you’re a player who hits a little more ‘up’ on the ball than standard, you may wish to tee it a little higher than standard. 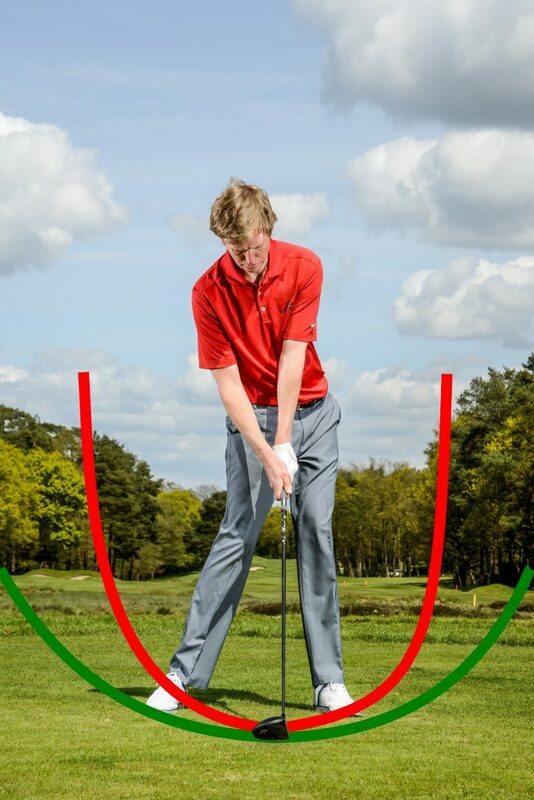 Ensuring you have the correct tee height for your impact dynamics is crucial. In chapter 3 of my book, we discuss vertical gear effect so you can see the importance of making sure the tee height assists you in hitting the ball off the correct part of the club face. Generally speaking, with a wood off a tee, a golfer that hits too steeply on the ball will hit the ball off the top part of the club face, launching it high with less spin than the player who was to hit too much up on the ball; such a player would tend to strike the ball off the bottom of the face, launching the ball lower with more spin. Some golfers will, for various reasons, benefit from an impact either a fraction lower or higher on the face. Using all that you’ve learnt in my book, a little experimentation with tee heights will help you find the ideal tee height. 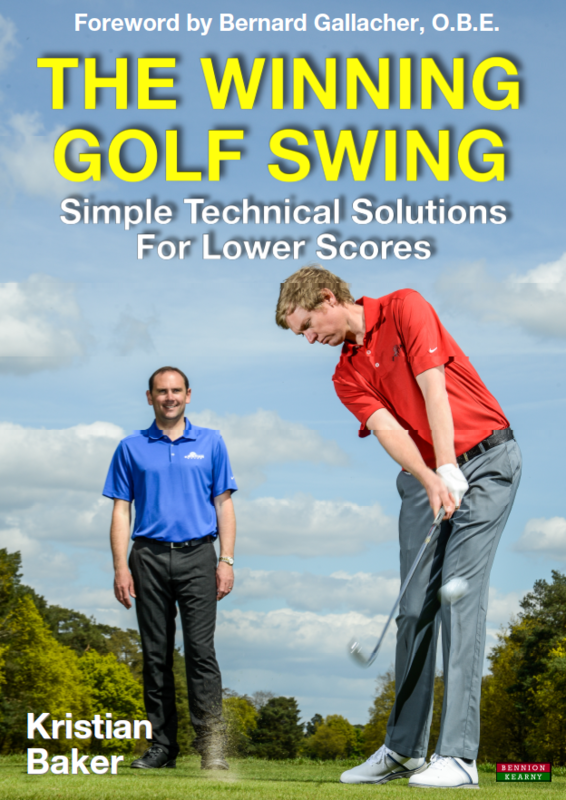 We publish a number of books to help golfers improve. This is where the ball gets struck off the top portion of the club face. An excessive version of this is often referred to as a ‘skied’ shot with a wood. The club is moving excessively vertically down as it strikes the ball towards the top-line or roof of the club head. If a top of face strike only happens when off the tee, then the first thing (and simplest) to check would be the tee height. Possibly it’s positioned too high. As I’ve said many times in this book, there’s no ‘one size fits all’ fix and this is relevant here. Because all golfers swing the club slightly differently, they will all deliver the club into the ball slightly differently. Because of this, there will need to be a slight variation in tee height to suit an individual. With a driver, I recommend about ½ of the ball above the top of the club head at reference 1. For an iron, the tee should be almost flush into the ground, only about ¼ inch above the turf. If you found you’re hitting too high on the club face (especially with a driver) you may want to check the tee height and lower it slightly. A good way to stop this type of strike with a wood is to place a tee peg in the ground at the correct height for a driver; so about ½ of the ball would be showing above the club head. Place a second tee peg about 12 inches behind that tee peg and 1 inch nearer to you, this time with only ¾ inch of the tee above the ground level. Take your set up, then have some gentle practice swings, without hitting the ball, trying to brush the top of the second tee peg placed behind the one the ball would sit on in your downswing. Doing so will ensure you have a wider bottom to the swing circle and the club will make a more horizontal strike onto the ball rather than a vertical one. You should feel like you’re now going to be sweeping the ball off of the tee peg. If you use a wooden tee, you can often tell if you’re doing this correctly as you’ll break fewer tees. V (red) and U (green) shaped swing shapes. To help you understand and promote this ‘U’ shape, imagine trying to hit a nail directly into the back of the ball with your driver like the image below. Typically, with the V shape golf swing you would have been hitting the red nail into the ball. With a wider swing circle and a ‘U’ shaped swing through impact, the club will be hitting the green nail. ‘Nail’ your driver correctly into the back of the ball. For more fixes, see Chapter 7, Section 4. What is Parapsychology, What is ESP, and What is Psychokinesis?